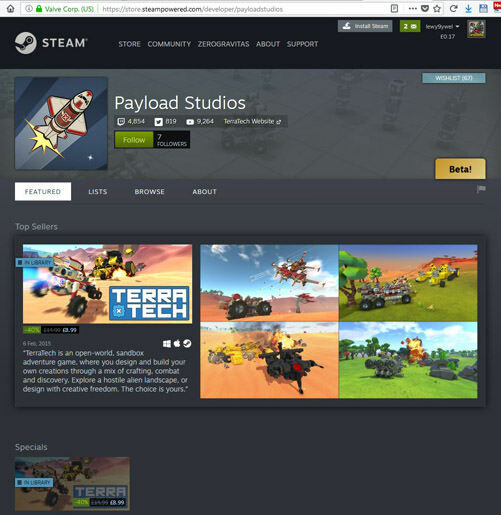 We now have a Steam Store page for Payload Studios. All future games and studio announcements will be made through here - so hit follow and stay up to date! and will the FORUM still get the announcements????? Just imagine there is an added one on there everytime you look at it. Oh my. You really need new R&D pics. Those ones are ANCIENT!!!!! LOOK AT THEM! THE 3 BLOCK IS EXP! Also, your top (semi transparent) picture is really old too. That was taken prior to the crafting update! Look at the old mobile delivery cannon. No input slot. I like the page a lot, but you need a hand with pictures.